A casual dining with best Filipino food can be had almost everywhere in Metro Manila, but Islas Pinas takes Filipino food several notches higher! 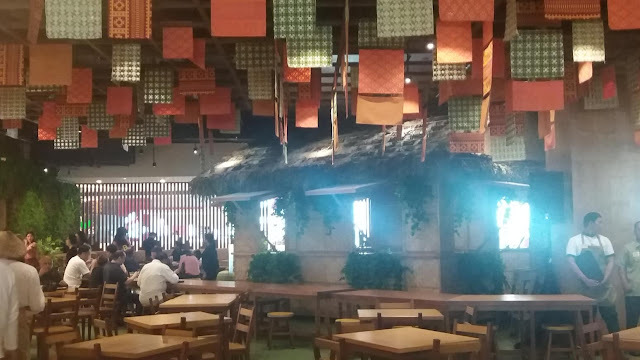 Islas Pinas, Double Dragon Properties Corporation's collaboration with celebrity chef Margarita Fores, opened last June 7, 2018 at the Double Dragon Meridian Plaza. This indoor Filipino Food and Heritage Village is the perfect place for guests to have a taste of what Philippines has to offer. It has a seating capacity of 700 seats in an expansive 2,500 sqm area that has a picturesque interior design that is instagram-worthy. 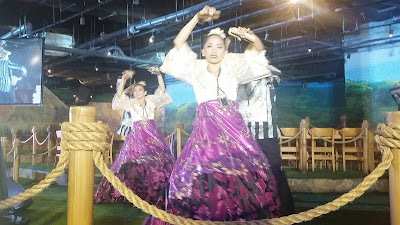 Designed by Filipino architect Lara Fernandez-Barrios, Islas Pinas showcases the abundance and vibrancy of the Filipino culture. 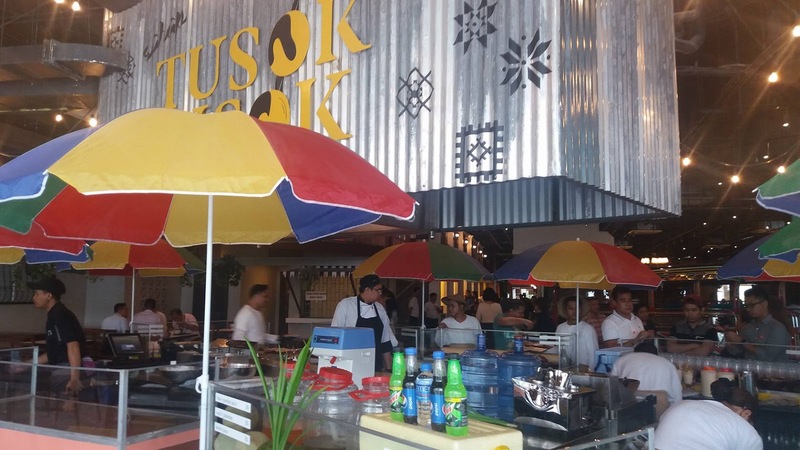 Islas Pinas features the authentic Sarao jeepney, the Calle Crisologo in the northern heritage city of Vigan, a street food strip and many more. Guests discover, explore and experience the Philippine heritage sites, natural resources, and hospitality as well. At the helm of this project is none other than Asia’s Best Female Chef of 2016, Margarita A. Forés. She entered into this partnership as part of her advocacy to bring Filipino cuisine to the global forefront. SINAG, the Tagalog word for ‘ray of light’ offers all-day Filipino breakfast favorites like our TAPSILOG (TAPa – salted beef, SInangag – fried rice and ItLOG – fried egg). 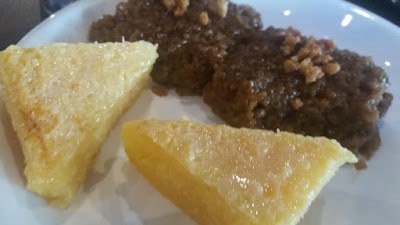 I love the sweet version of tapa with its good blend of sweet, savory and succulence. 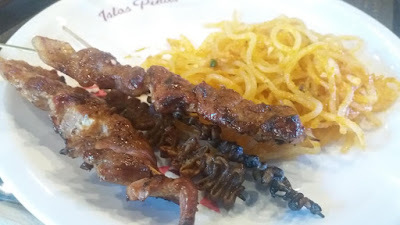 I also tried the danggit and Vigan lomggamisa. 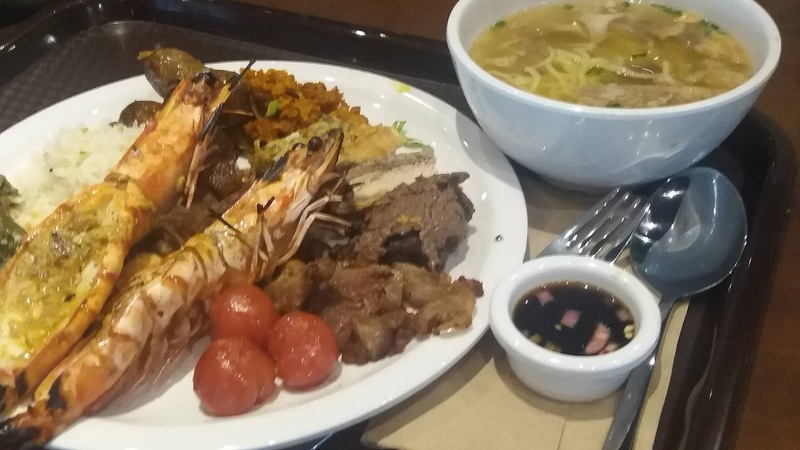 ALAMAT or legend, tells the story of the different regions of the Philippines through its signature dishes. Here, one gets to try unmistakably Filipino regional food in terms of flavor that balances, sweet, salty, and tart. 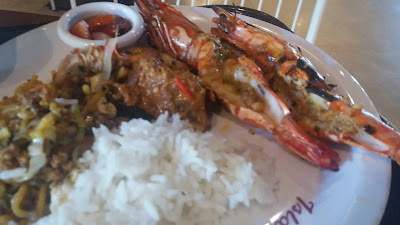 I had a Bulalo serving. It had a good amount of rich, buttery and fatty piece of bone marrow that I gladly took care of plus meat and vegetable fillings too. 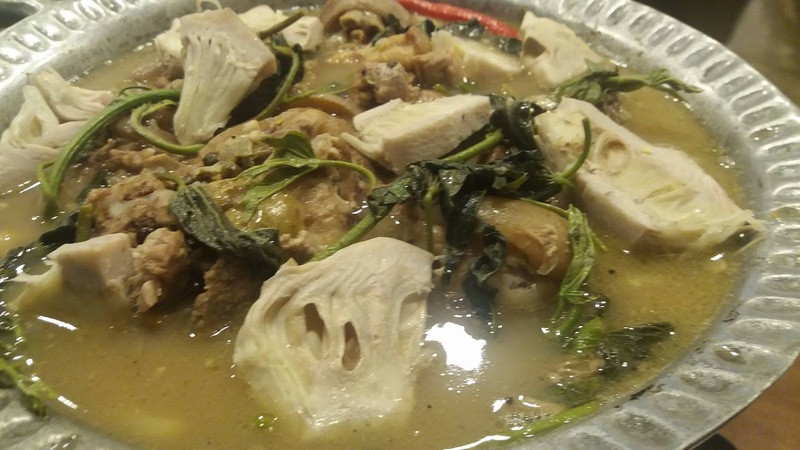 Some viands appeal to more sophisticated palates that like of the Kansi (Ilonggo Bulalo), which is prepared the traditional way. They also serve Batchoy, an Ilonggo noodle soup with pork offal, crushed pork cracklings and beef loin. Different textures and surprising combinations of food elements also finds its way to your palate. I love Sinuglaw, a dish made of grilled Pork pieces, fresh Tuna, herbs and spices. It was a good way to enjoy grilled pork and pickled tuna. 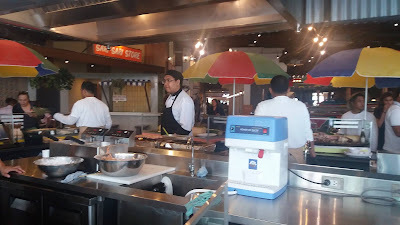 And of course, they have Lechon! 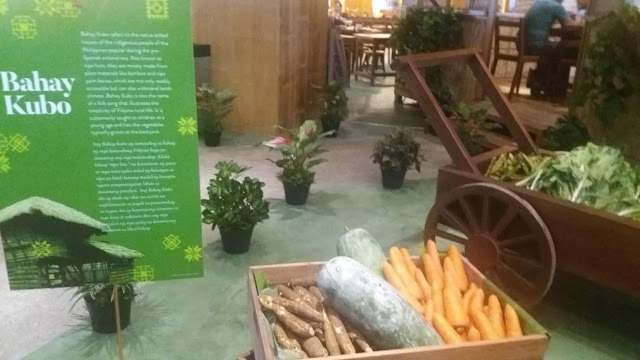 It has always been part of Philippine grand feasts. The presence of roasted pig at any Filipino gathering grew out of the country’s Spanish influences and undeniably, it turns an ordinary gatherings to a grand fiesta. 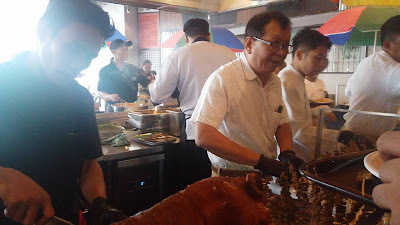 A Lechon completes a get-together..
PANULAK or beverage is where the samalamig (coolers with different flavors) and beverages ranging from fresh buko, sago't gulaman, fruit juices, halo-halo, ice tea etc. are available. 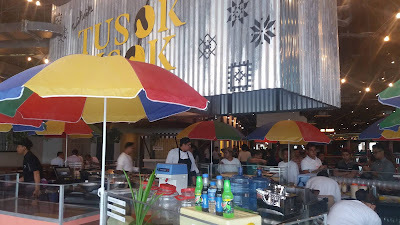 TUSOK-TUSOK , on the other hand, offers urban street food finds on skewers like pork/chicken barbecue on stick, isaw (grilled chicken intestine) fish balls and kwek-kwek (fried quail eggs). Though simple and straightforward, everything was flavorful and satisfying. 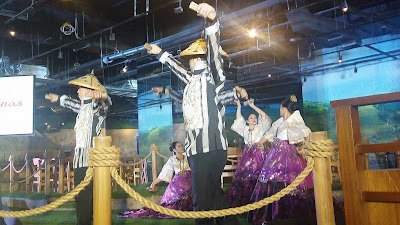 BILAO is coined after the woven winnowing basket where comfort snacks like noodles, kakanin and puto (rice cakes) are usually served. 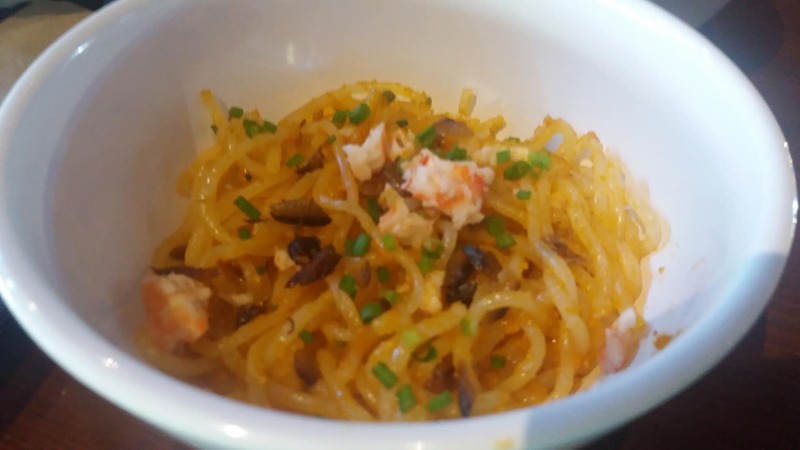 It is the food section to go to for Filipino homegrown food like Pancit Palabok (a comforting noodle classic with thick shrimp-flavored sauce) comes with a luscious shrimp sauce and modest toppings of egg slices, prawns, and crunchy fried tokwa (bean curd). 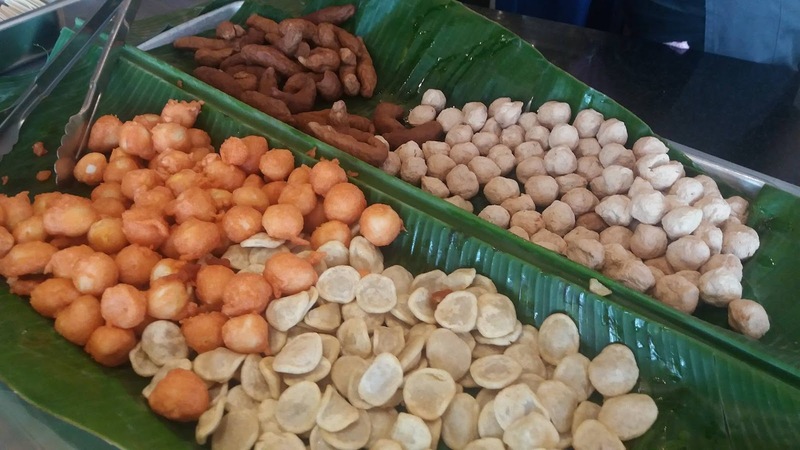 Puto and kakanin are usually made of rice flour, glutinous rice, kamoteng kahoy (cassava) coconut milk, sugar, water, and served as dessert in Filipino cuisine. PANADERIA offers neighborhood bakery favorites such as pan de sal and kalihim. 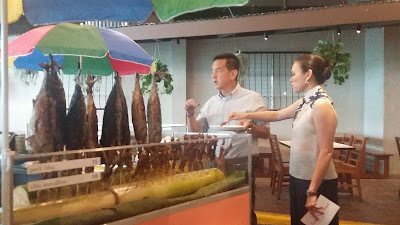 Lastly, PAMPANG or shore will allow guests to enjoy chosen fresh catch cooked to one's preference. 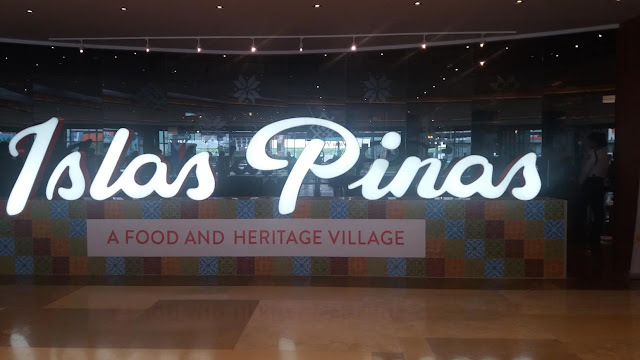 Islas Pinas grand launch was hosted by Ms Issa Litton. 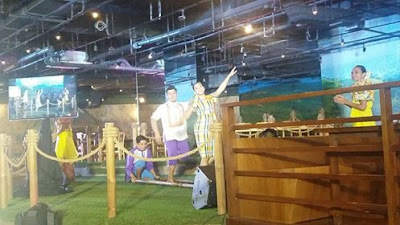 Your family will marvel at how pleasing Islas Pinas is! Chef Margarita Fores' Filipino cuisine innovations in are really worth praises.